We stock HGV & Truck tyres on our vehicles, we are also able to carry out mobile fitting at the road side 24 hours a day, 7 days a week. All-season tyres are the type of tyres that are generally used day to day on HGV, as they are sometimes known as or all-weather tyres have been developed for European regions that have more unpredictable weather or light winters. This makes them ideal for UK roads! This type has been designed to give drivers a safe driving experience all year round without the need to change tyres unless the winter is particularly harsh, in which case we would recommend using winter tyres, especially for those people who travel extensively around this time. Fastlane Autocare offers an unrivalled professional service to get your vehicle back on the road! 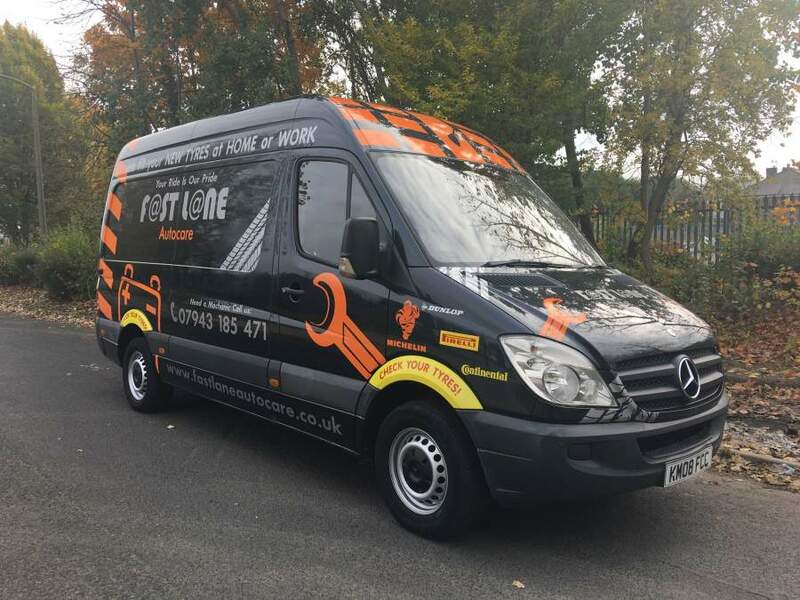 Fastlane Autocare offers a quality and efficient mobile tyre-fitting service in the North West of England. As a leading mobile mechanic service, we have many vehicle technicians ready to assist with your tyre repair work. Whether at home, the work place or roadside, you can trust Fastlane Autocare to get you back on the road! With emergency vehicles, we attend many motorway breakdowns with estimated times of arrival as little as 30 minutes, which makes us more time efficient than national, leading breakdown companies. We are a leading stockist of tyres including all the leading brands including intermediate brands which suit all budgets. Here at Fastlane Autocare, we are certain we will have the right tyre for you. If there is a specific brand preference, we offer a 'super fast' delivery and same day fitting service. We know getting new tyres can be a hassle and that’s why we have late after work appointment slots as well as day time appointments available. 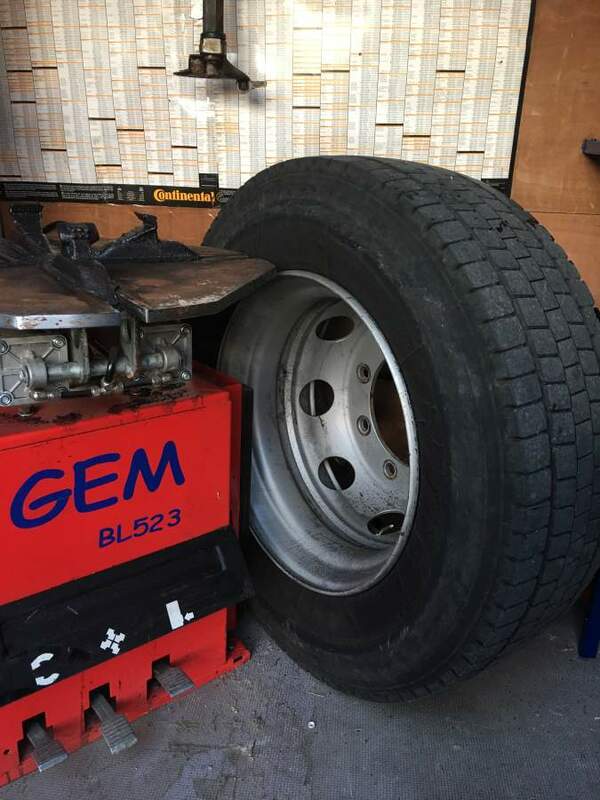 same day emergency HGV roadside tyre fitting service is also available with us. We can come to the road side of depo and fit your new tyres meaning minimum disruption to your busy day. The legal minimum requirement is currently 1.0mm tread depth across the central three- quarters of the tread, around the entire circumference of the tyre. Failure to meet these conditions could result in a penalty fine and/or penalty points per tyre. Please remember It is the driver’s responsibility to ensure that tyres of the correct specification are fitted to cars, vans, trailers and caravans alike. Across an axle (e.g. front and rear wheels), tyres must be of the same size. However, you can have different sizes on the front to the back as long as the two tyres on each axle are of the same size. We stock HGV and trailer tyres on the shelf ready to go!